Philadelphia drivers looking for an accessible, high-quality used car need look no further than Rolls Auto Sales. Equipped with a variety of sedans, coupes, trucks, and SUV cars for sale, our dealership has just what you need. 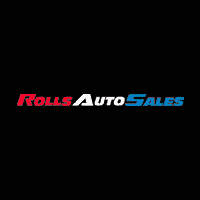 Why Choose Rolls Auto Sales? Helpful finance team that will help you every step of the way. We work with good and bad credit, and our easy-to-use payment calculator takes the guesswork out of your experience. A wide range of makes, models, and styles, including cars, trucks, and wagons for sale. If you have any other questions, or if you want to find out why we are one of the best used car lots in Philly, take the trip to Rolls Auto Sales, or contact us online!